Town of Lexington - Police Dept. I know that our number one priority is to serve and protect the citizens of our community. 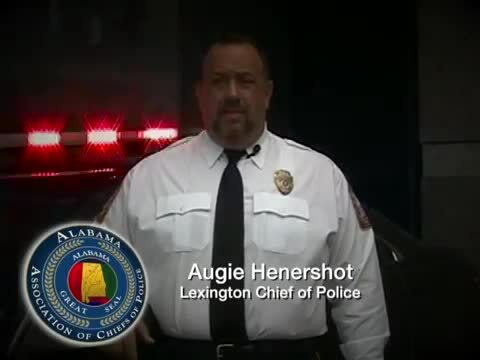 Chief Augie Hendershot - Lexington Police Dept. Since 2001, Chief Hendershot has been protecting and serving the Town of Lexington. Sergeant Jenkins works part-time for Lexington Police Dept. and also works for UNA Police Dept.